The environmental protection movement is bracing for what could be one of its biggest challenges in decades: the nomination of a climate change skeptic and longtime opponent of Environmental Protection Agency regulations to assume leadership of that same agency. 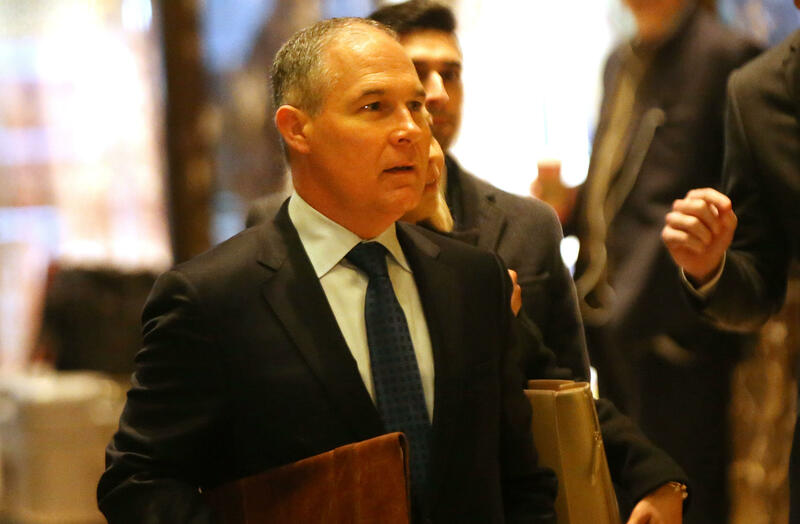 Scott Pruitt, attorney general of the oil and gas-friendly state of Oklahoma, was confirmed as President-elect Trump’s pick to head the EPA on Wednesday. “Quite clearly, this is a 180-degree shift from where the administration has been on most things environment-related,” David Konisky, associate professor at Indiana University’s School of Public and Environmental Affairs, told CBS News. Hamstrung from enacting climate change legislation through Congress, the Obama administration has in recent years relied heavily on the EPA to implement its environmental agenda across the country through enacting regulations and regulatory oversight. Under Pruitt, the agency is poised for major transformation. In an op-ed published earlier this year in The National Review, Scott Pruit argued that global warming is “far from settled,” despite the overwhelming consensus among scientists that human activities are behind the accelerated warming of the planet, with consequences ranging from vanishing polar ice to extreme weather patterns worldwide to the loss of coral on the Great Barrier Reef and food supplies for already endangered species. Pruitt’s future boss is also a climate change skeptic. The president-elect has previously said that he believed climate change was a “hoax created by and for the Chinese,” though he recently indicated that he was open to rethinking his position. During his presidential campaign, Mr. Trump pledged to “cancel” U.S. involvement in the Paris climate agreement, a landmark global accord that aims to reduce carbon emissions and halt the effects of climate change. In Oklahoma, Pruitt established a dedicated “federalism unit” within the Office of the Solicitor General to fight against federal government regulation. He has led court challenges to the implementation of the Affordable Care Act and the constitutionality of the Dodd-Frank campaign finance law. Pruitt’s supporters view him as a champion of fighting overzealous, wasteful government regulation. Importantly, Pruitt has used his perch as attorney general to sue the EPA multiple times to block what he considers excessive regulation of natural resources. Under Pruitt, who’s called himself a “leading advocate against the EPA’s activist agenda,” federal regulation of the environment could be gutted. The EPA is designed as a collaborative body, with the work of environmental protection shared between the federal agency and state governments. In essence, the federal government sets standards, in line with the president’s environmental agenda, and individual states then implement those standards with oversight from regional offices of the EPA. Across the country, this model creates huge variability in environmental standards. Some states and some regional offices are aggressive and meticulous in their approaches to environmental protection; others, far less so. The water crisis in Flint, Michigan was caused, in part, by shoddy oversight from the EPA’s regional office tasked with overseeing Flint, according to a state-commissioned report released earlier this year. Under Pruitt, the EPA will likely devolve more responsibilities to state governments and weaken the EPA’s regional oversight further, adding to the variability that already exists in environmental protection across the country. “If your goal is making sure everyone has a baseline of environmental protection, that becomes threatened,” Konisky said of Pruitt’s stance on decentralized regulation. Like most federal agencies, the EPA is staffed by career public servants who enjoy, to some degree, civil service protections that make layoffs challenging and guarantee some level of consistency from administration to administration. These staffers represent Pruitt’s first hurdle. What does history teach us? In terms of values and priorities, Pruitt appears closely aligned with 1981-1983 EPA Administrator Anne Gorsuch Burford, who served under President Reagan. A firm believer that the EPA was too big, wasteful and unfriendly to private enterprise, Burford found herself at odds with EPA staff for weakening the agency’s authority and slashing its budget, as well as for several mismanagement scandals. Eventually — having made enemies in her own agency and with both Republicans and Democrats in Congress — Burford was forced to resigned. If Pruitt faces internal opposition, he can easily shift career staff around — essentially, removing individuals with different policy views to less influential positions. As administrator, Pruitt will also have significant authority to hire like-minded individuals to lead the EPA’s program offices, which oversee areas like chemical safety, pollution prevention, and water safety, and carry out his deregulation agenda. Environmental groups now enter a new chapter in which they need to play both defense and offense to keep their cause alive, without allies in the executive branch, Konisky said. Defense will come in the form of efforts to block specific legislation in Congress and to defend existing environmental protections in the courts. Offense will likely move to another front: winnable battles in green-friendly cities and states, like California.